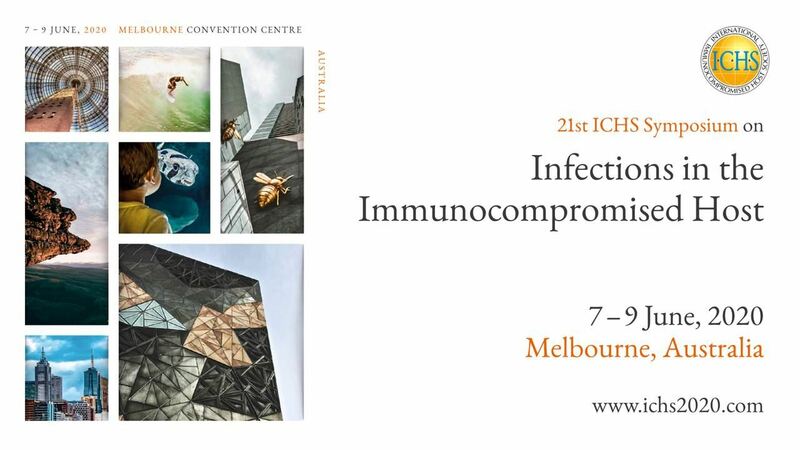 The 21st ICHS Symposium will be held in Melbourne, Australia June 7- 9, 2020. Please check in often for exciting news updates on the next ICHS Congress. Please visit the website for more information! Monica Slavin MBBS, University Melbourne, 1981, FRACP 1992, MD (Research) University Melbourne 2005 is an Infectious Diseases physician Director, The National Centre for Infections in Cancer (NCIC), Director of the Department of Infectious Diseases Peter MacCallum Cancer Centre and leads the Immunocompromised Host Infection Service at Royal Melbourne Hospital. She is Professor, in the Department of Medicine, the University of Melbourne. Prof Slavin received training in clinical research in infection in immunocompromised hosts in Seattle 1989-92 where she undertook seminal studies of antifungal prophylaxis that changed practice world-wide and improved survival after stem cell transplantation. Her research focuses on identifying risk factors, improving early diagnosis, prevention and treatment of infection, particularly fungal infection in haematology and transplant patients. She has led 6 national studies of the epidemiology of fungal infections identifying risk factors and informing management guidelines and a national study of fungal diagnostics in haematology patients which resulted in their translation into clinical practice. She served on the management committee for several international studies including the first randomised trial of combination antifungal therapy (Ann Intern Med, 2015). She contributes to international antifungal treatment studies pivotal in FDA and EMA approval, leads research describing infection complications of new cancer treatments and how to prevent them, is a member of international expert panels developing treatment and management guidelines, definitions of fungal infections for clinical trials and translating new diagnostic tests into practice. Since 2004 she has chaired the writing group for the Australian and New Zealand consensus guidelines for the use of antifungal agents in the haematology/oncology setting (updated 2008, 2014), independently rated most highly of international guidelines and linked to Therapeutic Guidelines and contributes to the European Conference on Infections in Leukemia, France (2005-2017), supported by EBMT, ICHS, ELN, EORTC to develop state-of-the art infection guidelines for haematology and stem cell transplantation. She is a steering committee member for national fever and neutropenia management guidelines due for update 2019. Prof Slavin holds multiple leadership positions in the Australasian Society for Infectious Diseases (ASID); helping establish and chairing the Mycoses Interest Group, foundation member of both the steering group of the Clinical Research Network and the guideline group. 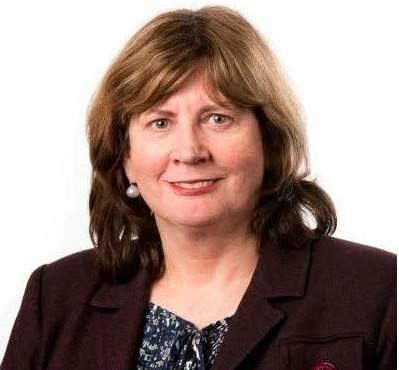 She is currently vice chair of the Infectious Diseases Specialist advisory committee of Royal Australasian college of Physicians and was instrumental in establishing and inaugural co-chair of the supportive care group of the Australian Leukemia and Lymphoma study group leading its first nationally endorsed study. ICHS is helping to support our community by advertising employment opportunities. ICHS 2020 President Prof Monica Slavin and Melbourne local organising committee members Drs Ben Teh, Megan Crane and Michelle Yong attended the 2018 ICHS in Athens to present and gather information on organising the meeting. We would like to thank and congratulate Prof Dimitrios Kontoyiannis and the local organising committee in Greece for delivering a wonderful meeting. We were very warmly welcomed into the society and benefitted enormously from the many fantastic presentations and opportunities for social interactions. We are very much looking forward to bringing this unique meeting to Australia and to introduce you to our Asia-Pacific colleagues. We are planning an exciting program with a focus on solid organ transplants, with plenty of exciting developments that are unique to our region. Melbourne is a vibrant and cosmopolitan University town and we encourage you to visit our website www.ichs2020.com for a taste of what to expect. We would also like to take this opportunity to congratulate Andre Silva-Pinto, the winner of our free registration to the 21st ICHS, Melbourne Australia and also hope to see many more of you there! Please visit the MSGERC Mycoses Study Group Education & Research Consortium website MSGERC.ORG to keep up with the latest news! Be sure to visit the NEW Doctor Fungus Website at msgercdoctorfungus.com/ You'll find a wealth of valuable information! We are pleased to inform you that the final slide sets of the ECIL 7 working groups CMV, HHV6 and vaccines are now available on the ECIL website at www.ecil-leukaemia.com. You will find these sets in the Program section.